Jackson bed and breakfast travel guide for romantic, historic and adventure b&b's. 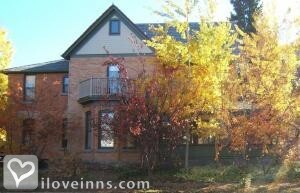 Browse through the iLoveInns.com database of Jackson, Wyoming bed and breakfasts and country inns to find detailed listings that include room rates, special deals and area activities. You can click on the 'check rates and availability' button to contact the innkeeper. The popularity of Jackson, Wyoming is well known with many celebrities choosing the town as a second home. The Yellowstone National Park, National Elk Refuge and the Grand Teton National Park are located nearby Jackson. Jackson also boasts of its proximity to ski resorts and its own ski hill, Snow King. One of the famous stops is the National Museum of Wildlife Art which was designated by the Congress. Also 12 miles to the northwest of Snow King is the Jackson Hole Mountain Resort which opened in 1966 and has a steep terrain. Also Jackson is home to the Grand Teton Music Festival and the Center for Arts. Elk antlers mark the entrances to the townsquare. The Jackson bed and breakfast inns offer beautiful scenery and top service; precisely what you need while staying. It's a great getaway especially during the summer. By Parkway Inn.